Showing that time can stand still, spry 90-year-old jazz extraordinaire Chico Hamilton’s latest release Chico Hamilton: Revelation is 22 tracks and over 77 minutes of music pleasure. The release blends different formats against Chico’s unique use of tempo and pace that results in a sound that is pure platinum. The 22-track Chico Hamilton: Revelation was produced by Jeffrey Andrew Caddick, Chico Hamilton, and Chris Fasulo on the Joyous Shout label. Although Chico Hamilton wrote most of the songs, the release also includes: Stompin' at the Savoy by Edgar Sampson and Andy Razaf; It Don't Mean a Thing (If It Ain't Got That Swing) by the legendary Duke Ellington; and songs written by his band members: Do With What, Do What With, and Because I Care - Jeremy Carlstedt; Gena - Evan Schwam; Dilemma - Mayu Saeki; Phyllis - Paul Ramsey; and Midnight on Montrose Ave - Nick Demopoulos. From the opening track, Brushes, to the last track, EP 1:41, the Chico Hamilton: Revelation released on September 13, 2011, is 77:54 minutes of pure listening joy, a befitting celebration of life, and a memorable tribute to mark Chico Hamilton's 90th birthday, (September 20, 2011). Happy Birthday, Chico! The second track Evanly uses a samba beat as a muse for Chico as he layers playful loving elements on top of the lively samba beat; a track that is as engaging as it is relaxing. The track NO Way LA is a sultry romp and the even keel drum beat keeps you wanting more while letting you down gently. Chico wrote Lynne's Song as a tribute to band member Evan Schwam's mother, Lynne Schwam, and features both Evan and Lynne on flute, with Lynne appearing as a Special Guest. The track Paul Ain't Home, Evan's Along is a story told through the music that leads off with the balanced tempo of the drum beat knocking like someone is at the door looking to get in, this cuts away to the animated sound of the piccolo while the band flows into a swing beat letting everyone know that someone is home and having fun. The track P & E lulls you into a comfort zone with a superb piccolo segment, it then slowly brings the tempo up with the drums and saxophone to make sure that the listener's blood is flowing before the band breaks into rousing improvisational jazz. Stompin' At the Savoy, is one of the few tracks that was not written by Chico, but Chico's drums and the bass create a captivating bass-line that enhances the sound of the saxophone and horns while capturing the listener in a head swinging finger snapping moment. Because I Care leads with a beautiful duet of stings with the guitar and bass laying the foundation on the musical canvas while the horns splash their colors across the score creating a moving and poignant song. With 22 tracks and over 77 minutes of music to select from and enjoy, there is never a moment of downtime as Chico shows that the music always comes first, and that the instruments are the conduit to expressing the sound. 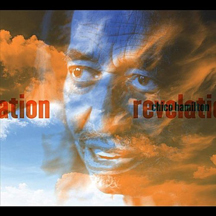 At 90 years young, Chico leaves you with the feeling that he is still evolving and that his best is not behind him; we cannot wait until his next innovative release, but for now give Chico Hamilton: Revelation a spin, or two, or three. Websites where you can procure Chico Hamilton: Revelation are Amazon, CD Baby, iTunes, Rhapsody, and DROM NYC.